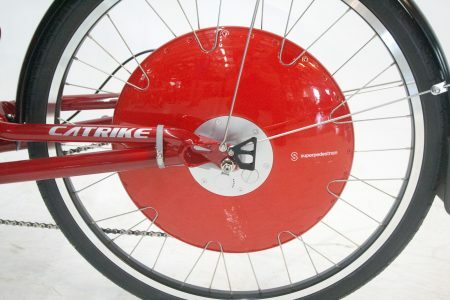 Everything you know about Ice Trikes changed in 2010. Well, almost. The Ice Q and T are no more but their replacements are willing and able to take over for them. The lower, sportier Ice Q has been replaced by their Sprint; while the higher, less performance oriented Ice T is replaced by the Adventure. These trikes have a 29.5-inch track width which is between their old standard width and their old “NT” narrow track. 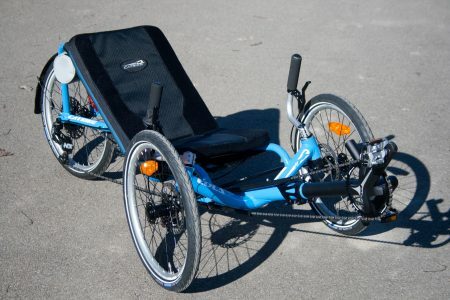 These trikes fold in half quickly and easily, without any tools. When I demonstrate how a bike or trike folds I like to keep it interesting, so I offer the customer a stopwatch to time me. 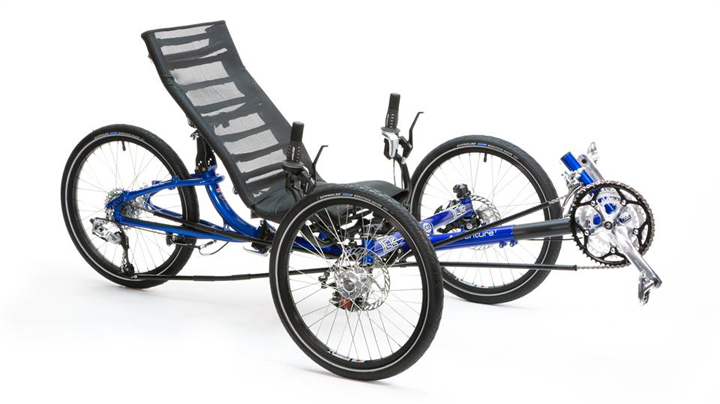 With the new Ice trikes, 30 to 60 seconds is usually all it takes. 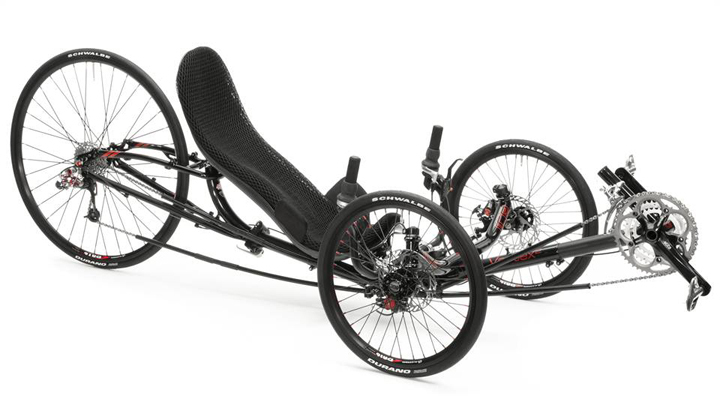 That is a bit faster than the 45 to 80 seconds I spend folding a Greenspeed GT series trike. 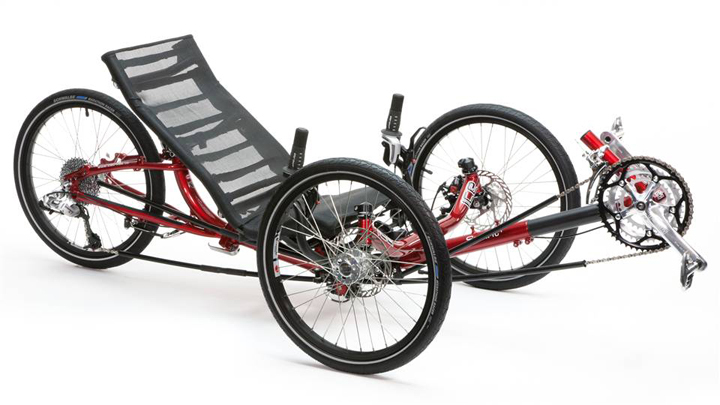 The Greenspeed GT1; GT-3 and GT-5 trikes fold smaller than the Ice trikes but require one Allen wrench. 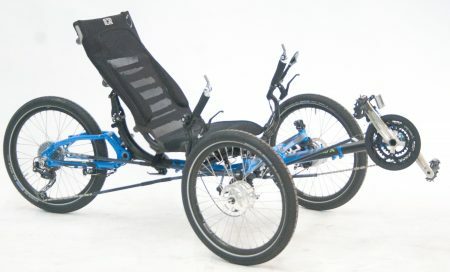 When you come test ride these trikes be sure you bring the vehicle you want it to carry it in so we can be sure it fits! Like last year’s Ice “T” and Ice “Q” models the 2010 Ice can also be disassembled further to fit in airline luggage. The handling of the Ice trikes remains good. Stable and easy to control at high speed and pretty good at low speeds. 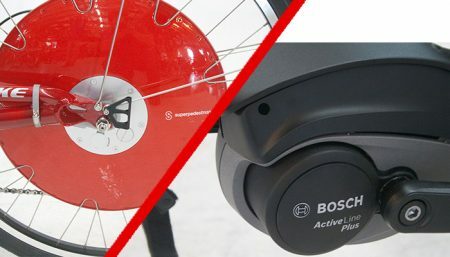 The turning circle is larger than say a Greenspeed or a Catrike so U-turns can be awkward on narrow roads. 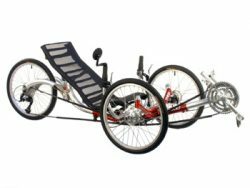 Ice seats still can be adjusted to your favorite reclined angle, a nice feature not available on a Greenspeed or Catrike. A Parking Brake on the rear wheel with an independent parking brake lever. An adjustable pedal boom with etched fit markings to adjust for leg length. Compatibility with many optional I.C.E. accessories. So get out and do some test riding. 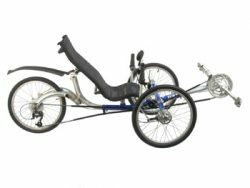 You may love the adjustable seat recline and fold-ability of an Ice, you may prefer the lightweight and maneuverability of a Catrike, you may find only the Greenspeed folds small enough for your needs.